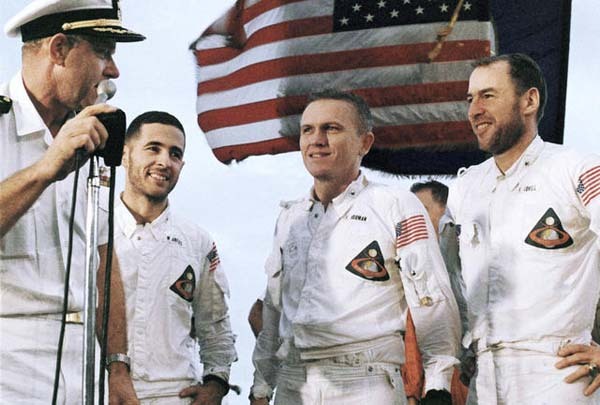 As NASA celebrates the 50th anniversary of manned Apollo flights leading to the first moon landing in July 1969, the number of astronauts from the program is slowly dwindling away. Of the 29 men who flew in the Apollo lunar program, 15 are still alive while 14 others have passed away. When the Skylab and Apollo-Soyuz programs are included, there are 21 Apollo-era astronauts still with us while 17 have died. 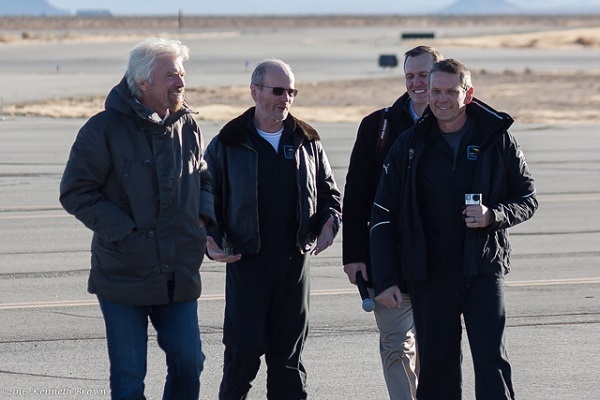 Virgin Galactic Founder Richard Branson was one of three people honored for contributions to further space exploration during the Apollo Celebration Gala held at NASA’s Kennedy Space Center on Saturday. 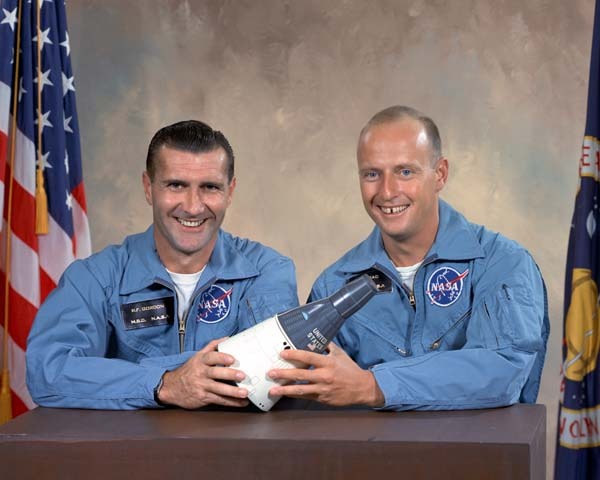 NASA Television will provide the pool coverage of the funeral service for NASA astronaut and U.S. Navy Capt. 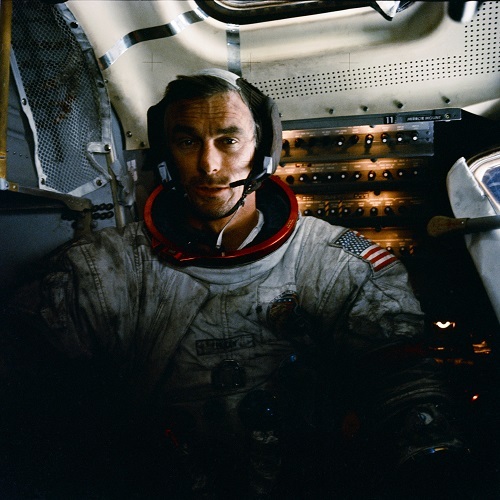 Eugene A. Cernan at 3:30 p.m. EST (2:30 p.m. CST) on Tuesday, Jan. 24, live from St. Martin’s Episcopal Church in Houston. Media cameras will not be permitted in the church, however, there will be a designated media area outside. Please note, there will be no interviews with special guests. 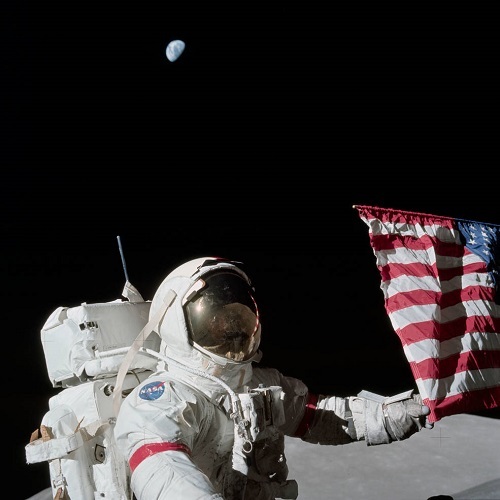 Cernan left his mark on the history of exploration by flying three times in space, twice to the moon. He also holds the distinction of being the second American to walk in space and the last human to leave his footprints on the lunar surface. 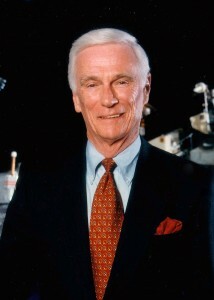 “Gene Cernan, Apollo astronaut and the last man to walk on the moon, has passed from our sphere, and we mourn his loss. Leaving the moon in 1972, Cernan said, ‘As I take these last steps from the surface for some time into the future to come, I’d just like to record that America’s challenge of today has forged man’s destiny of tomorrow.’ Truly, America has lost a patriot and pioneer who helped shape our country’s bold ambitions to do things that humankind had never before achieved. WASHINGTON (NASA PR) — Eugene Cernan, the last man to walk on the moon, died Monday, Jan. 16, surrounded by his family. 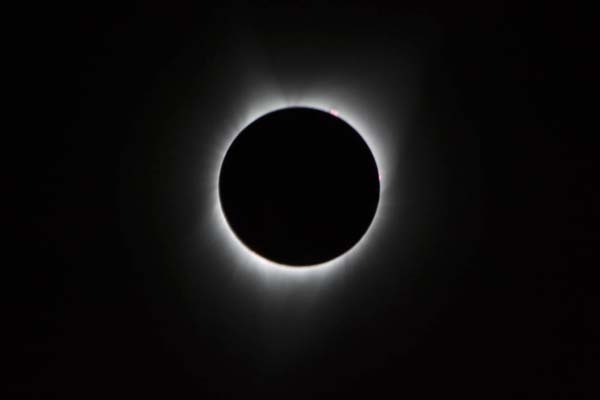 PT Scientists has announced it has secured a launch contract through Spaceflight Industries to place two rovers on the moon next year to visit the Apollo 17 landing site. The rovers and a landing vehicle will fly as a secondary payload on an unidentified booster. 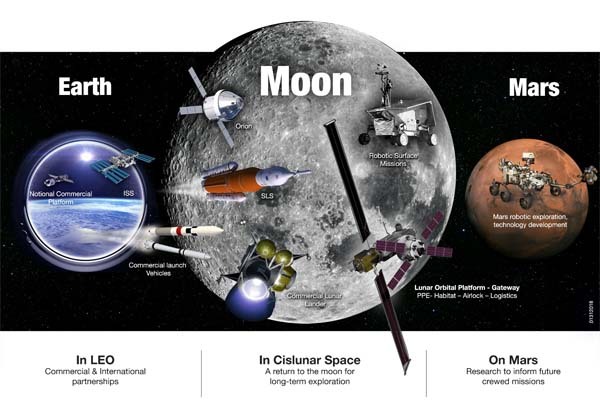 The team is trying to win the $20 million first prize in the Google Lunar X Prize. It is one of 16 teams left in the competition, which expires on Dec. 31, 2017. 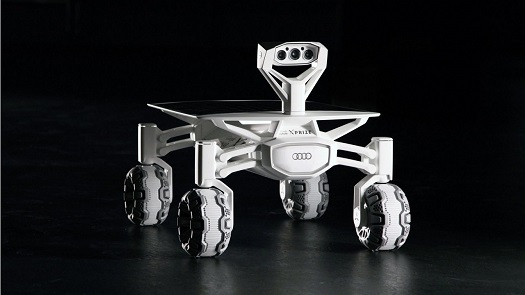 PT Scientists have been working with Audi to develop two lightweight rovers to explore the site in the Taurus–Littrow valley where Eugene Cernan and Harrison Schmitt became the last men to walk on the moon in December 1972. The team has submitted its launch contract to the Google Lunar X Prize for verification. Teams need to have verified agreements by the end of this year in order to continue in the competition. Three teams have verified contracts: Moon Express, SpaceIL and Synergy Moon.